An example can be seen with the development of thread-turning tools that feature both over- and under-coolant, the combined precision of which serves to extend tool life, elevate thread quality and deliver the potential to run with higher cutting data. The positive effects stand out even more when machining challenging workpiece materials. There are many machinability issues with stainless steel (ISO M) and HRSA and titanium (ISO S) materials. With regard to ISO M materials, machinability often decreases with a higher alloy content. And while chip control is fair in ferritic/martensitic materials, it becomes more complex in austenitic and duplex types. 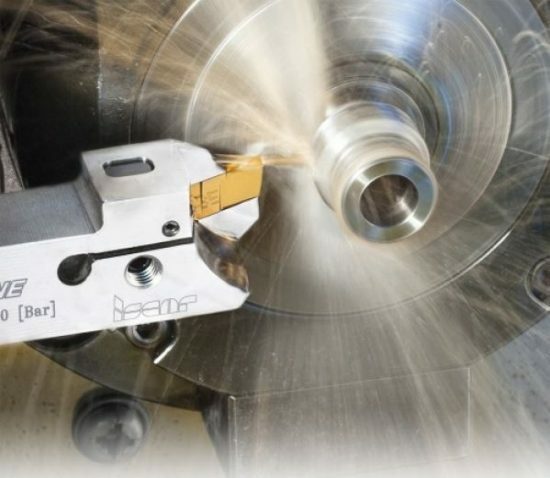 Perhaps most troublesome of all is that machining these materials creates high cutting forces in combination with built-up edge and work-hardened surfaces. The combination of these factors serves to compromise tool life. In terms of ISO S materials, the physical properties and machining behaviour of each varies considerably, due both to the chemical nature of the alloy and the structure of the material. For instance, annealing and aging can be influential on subsequent machining properties. 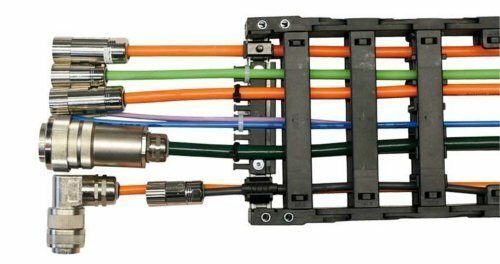 It is well established that chip control is challenging, while the cutting forces and power required to successfully machine ISO S materials are quite high. It’s clear that the use of coolant when machining ISO M and ISO S materials is vital. 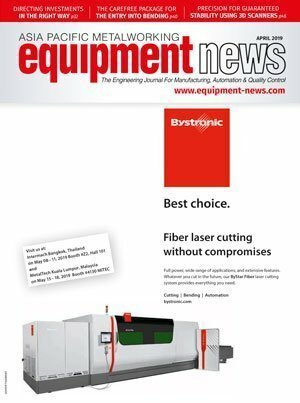 However, Sandvik Coromant is able to demonstrate that the specific way in which coolant is applied can lead to a multitude of extra benefits in thread-turning operations. The focus here is on precision; utilising jets of coolant from different directions (located close to the cutting edge) to serve specific purposes. The technology is evident on the newly extended CoroThread 266 range of tools for external thread turning, which offer precision over- and under-coolant to improve process security and maximise efficiency. Over-coolant improves chip formation and removes chips from the cutting area, supporting more secure, trouble-free machining and fewer unplanned stoppages, while under-coolant controls temperature for long and predictable tool life. 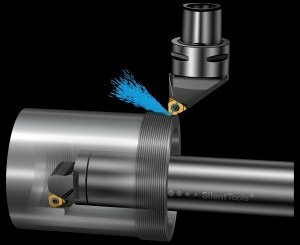 This configuration of precision coolant also has positive effects on surface finish, further supporting the generation of high-quality threads, while an additional benefit of this innovative technology is that it will allow the tool to run with higher cutting data, therefore reducing cycle times. Along with precision coolant, process stability is paramount to ensure the turning of threads that are right-first-time. For this reason, CoroThread 266 also features the proprietary iLock interface between the holder and insert, which prevents cutting forces from causing micro-movements of the insert in the tip seat, thus promoting accuracy, surface finish and consistency. It can even be argued that precision coolant is able to troubleshoot thread-turning issues. For instance, those struggling with chip control and surface quality issues will certainly benefit from the application of over-coolant, which promotes chip evacuation and avoids defects caused by chips. Those with dimensional issues, which are normally attributable to excessive insert temperatures (leading to rapid insert wear), will benefit from the cooling action of under-coolant. In combination – over-coolant and under-coolant—the potential gains are considerable. During tests measuring average flank wear per part when thread-turning ISO M components, results were compared between standard external coolant and precision over- and under-coolant. Running at 40 bar (580 psi), the amount of flank wear was noticeably less upon comparing the threads turned using external coolant and those produced with precision over-coolant. Flank wear was reduced further still with precision under-coolant. As a general observation, tool life almost doubled. 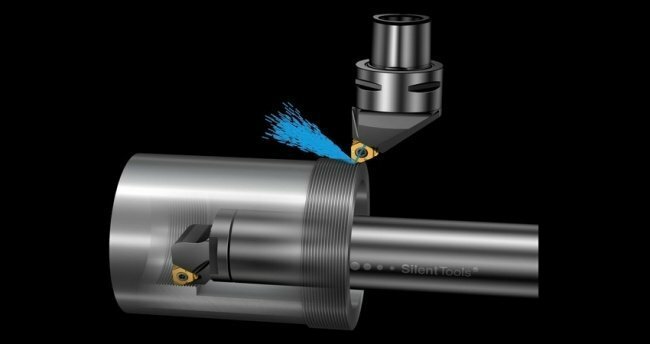 Through testing it is possible to see that the use of precision coolant can offer significant gains in insert tool life. This effect has also been witnessed during numerous customer trials. One customer turning Whitworth pipe threads (G 1¼ inch) on SS2333 grade stainless steel parts enjoyed a notable gain in tool life against the best competitor product. Moreover, the use of CoroThread 266, even at less than 10 bar (145 psi) pressure, meant that chip control was greatly improved, with chips no longer sticking to the component and/or tool in the same manner as previously. Chips that stick can cause surface damage to the part, or get jammed between the cutting edge and component, leading to potential insert breakage. Another customer, this time turning UN threads (60°, 3½ inch, 8 TPI) on AISI 422 stainless steel workpieces enjoyed very impressive increases in both tool life and cutting speeds. Operating with high-pressure coolant, the customer reports being very satisfied with the outcome, which also offered far better chip control. 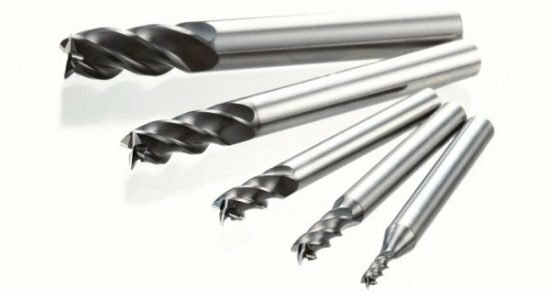 Further tests have demonstrated impressive gains in tool life when performing thread turning on 316L stainless steel parts, as well as Ti6Al4V titanium alloy. Aside from challenging ISO M and ISO S materials, in many cases the use of precision coolant technology is recommended in steel (ISO P) components, as demonstrated by yet another customer. Despite low pressure of just 7-10 bar (102-145 psi), a machine shop turning 1 inch NPT threads (11½ TPI) on AISI 1215 unalloyed steel witnessed a significant increase in tool life. Ultimately, precision coolant effectively removes heat from the cutting edge and provides the possibility to increase cutting speed and thereby achieve higher productivity, with maintained tool life. In addition, precision coolant helps to remove chips from component and tool, and improve chip formation, which in turn boosts process security. The global medical manufacturing industry is one of the world's fastest growing industrial sectors. It has accounted for more than 10 percent of the gross volume of metalworking activities recorded in 2015. Yair Selek, product manager of face grooving systems and miniature industry, Iscar, tells us more about machining medical parts. 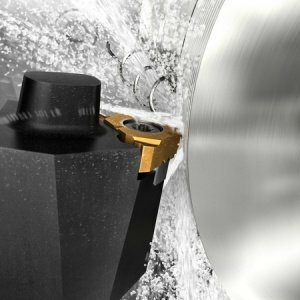 New anti-vibration additions to milling tools are adding versatile options to a variety of milling applications. By Ikuo Takikawa, applications engineer (end mill development division), OSG Corporation.